City of Kawartha Lakes ON – (April 10, 2018) – Fleming College Arboriculture students will take to the trees on Tuesday, April 24 for the Fleming Tree Climbing Competition. 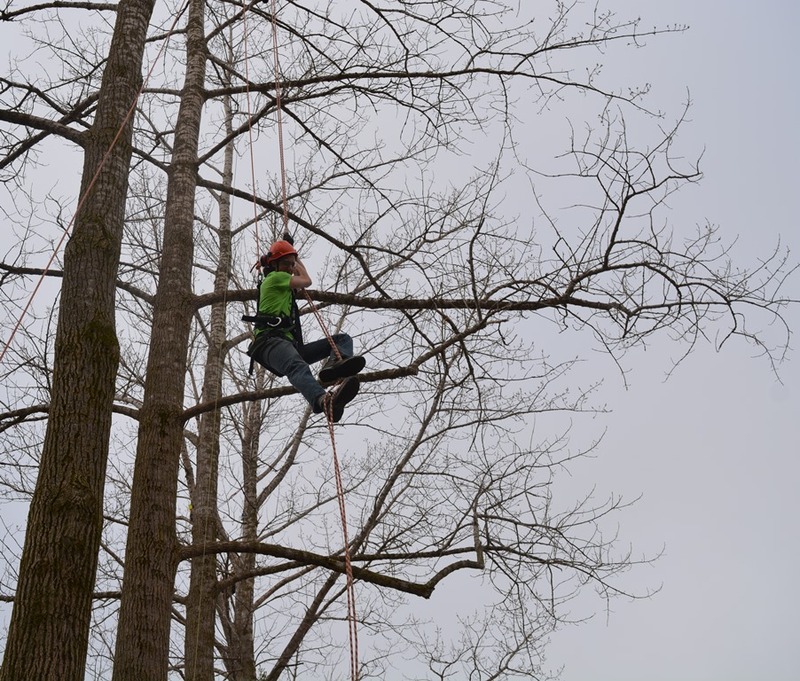 Many of the students go on, each year, to compete at the provincial and national level with the International Society of Arboriculture’s Tree Climbing Championships. Through local community support as well as support through the arboriculture industry, prizes are awarded to the competitors with grand prizes for the Men’s and Women’s division champions. Many of the judges are past Fleming tree climbing competitors and current industry leaders. Everyone is welcome and encouraged to come out and watch the events. Prize contributions are always welcome. Event Details: Events begin at 9:30 a.m.
A climber must ascend a tree and rescue a geared up 200 lb ‘dummy’ in distress. The student rescuer must adhere to a set protocol based on a specified emergency. This is a time based event, points are awarded or deducted according to the protocol and emergency. Each contestant is timed climbing up a tree from the ground to a height of approximately 15m where they will ring finishing bell. Location: Fleming College’s Frost Campus (200 Albert St. S., Lindsay) at the Outdoor Education Center, west of the Heavy Equipment building. Rain date is scheduled for Wednesday, April 18.